Julia Morgan may have been small in stature (barely five feet tall), but she left large imprints on the field of architecture. Her achievements are impressive and many. And, in her own quiet way, she also opened doors to opportunities for women. 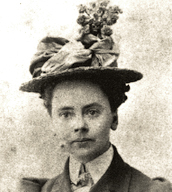 Born in San Francisco, Julia Morgan grew up in Oakland, the second of five children. Morgan was a woman of firsts: one of the first women to graduate with a degree in civil engineering from the University of California; the first woman to earn a certificat d’architecture from the Ecole des Beaux-Arts in Paris; and the first woman architect to be licensed in California. From 1904 to 1947, Julia Morgan headed her own firm in San Francisco, designing more than 700 structures. Along with the Berkeley Women’s City Club – familiarly known as the “Little Castle” – many are known worldwide. 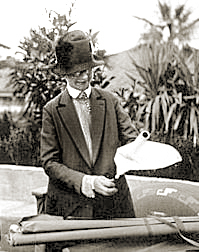 To learn more about Julia Morgan and related topics, please see Julia Morgan Resources.